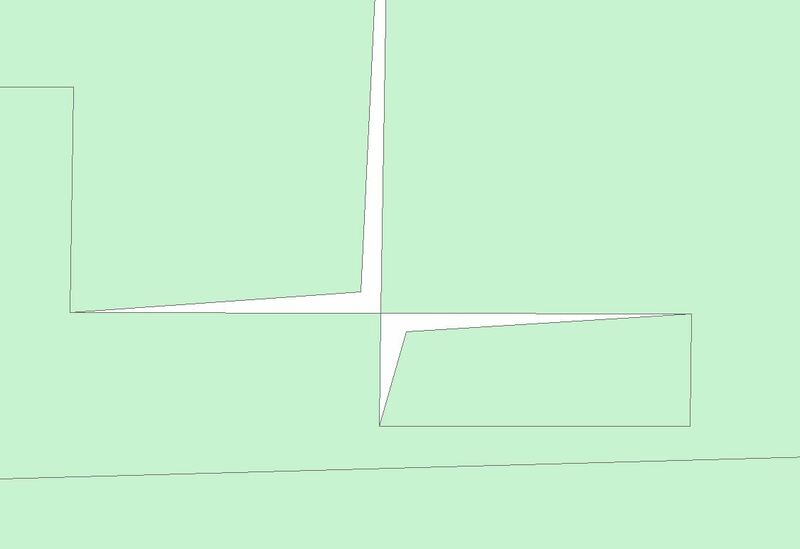 Is there an official name for geometry errors like this? If they are bad, how should I fix it? 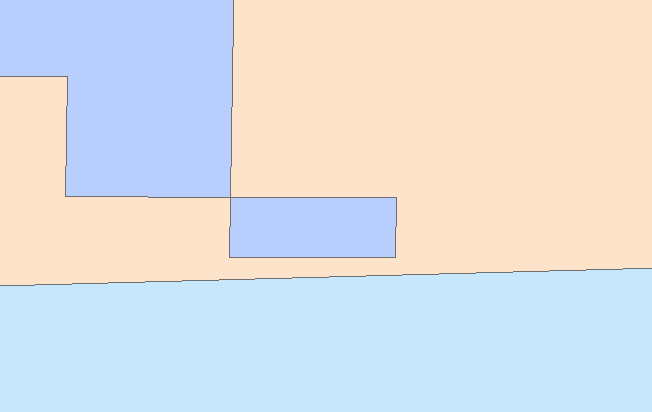 I tried QGIS v.clean, manually editing the polygon and ArcGIS repair geometry without success. The problem here is that you have two interpretations of a simple polygon and a self-tangency (intersection of parts at a vertex). ArcMap seems to accept it and the QGIS topology checker not. I did found some word from the ESRI side here and at least for PostGis i found that it is not allowed here. But for the examples from PostGis for the OGC standard validity for figure j and p they should not be valid due to self-tangency but are written as valid. 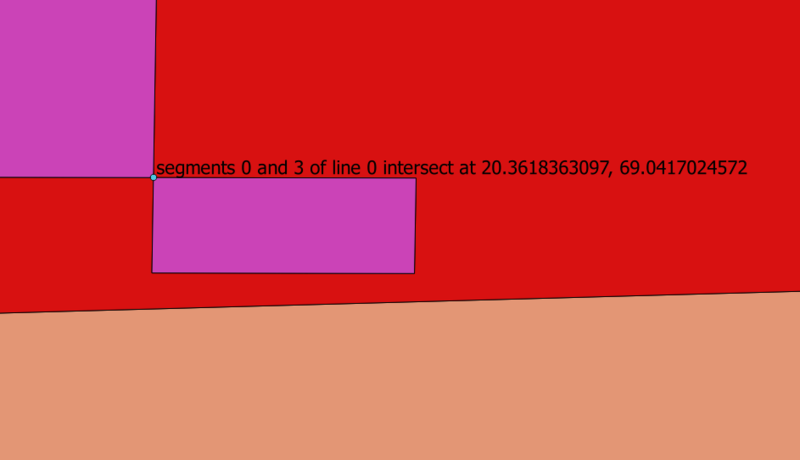 Also as far as i understand the OGC standard "OpenGIS Implementation Standard for Geographic information - Simple feature access" the polygons should not be valid because of 6.1.2.2 (IsSimple method). But again valid because of the definition that they may touch in a finite number of points (6.1.14 b) ). Not the answer you're looking for? Browse other questions tagged qgis arcgis-desktop polygon geometry vertices or ask your own question. 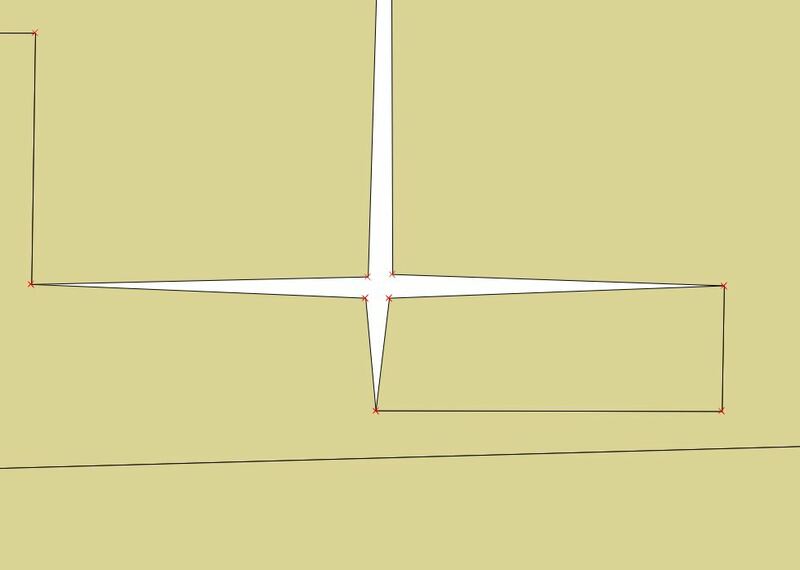 Issues with geometry in QGIS but not ArcGIS?